A solitaire Black Opal Ring in 14k Gold with an oval Red and Blue Black Opal. 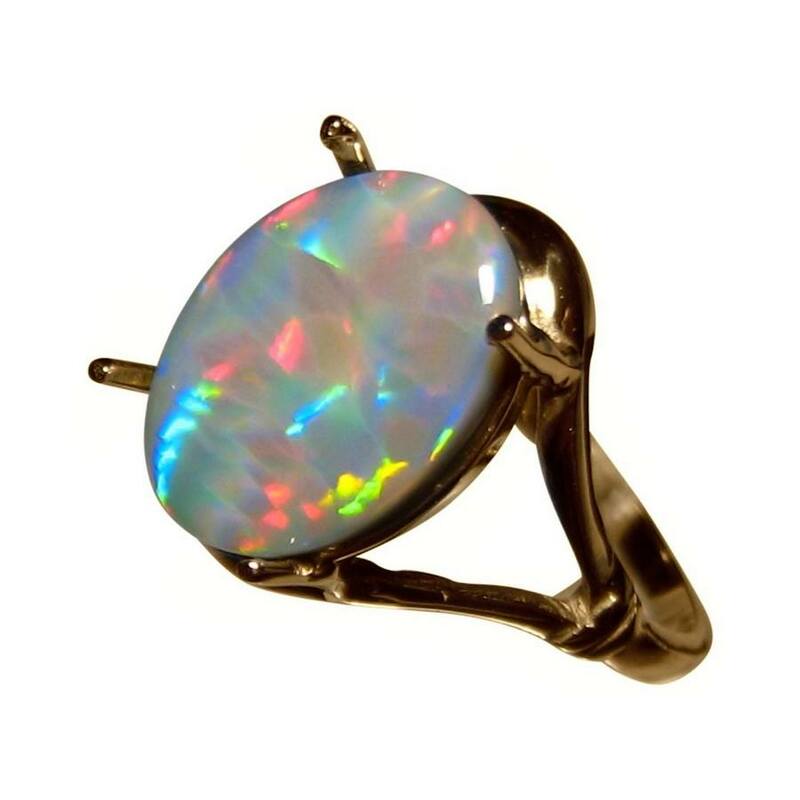 A Black Opal ring in a simple design to showcase the Opal. 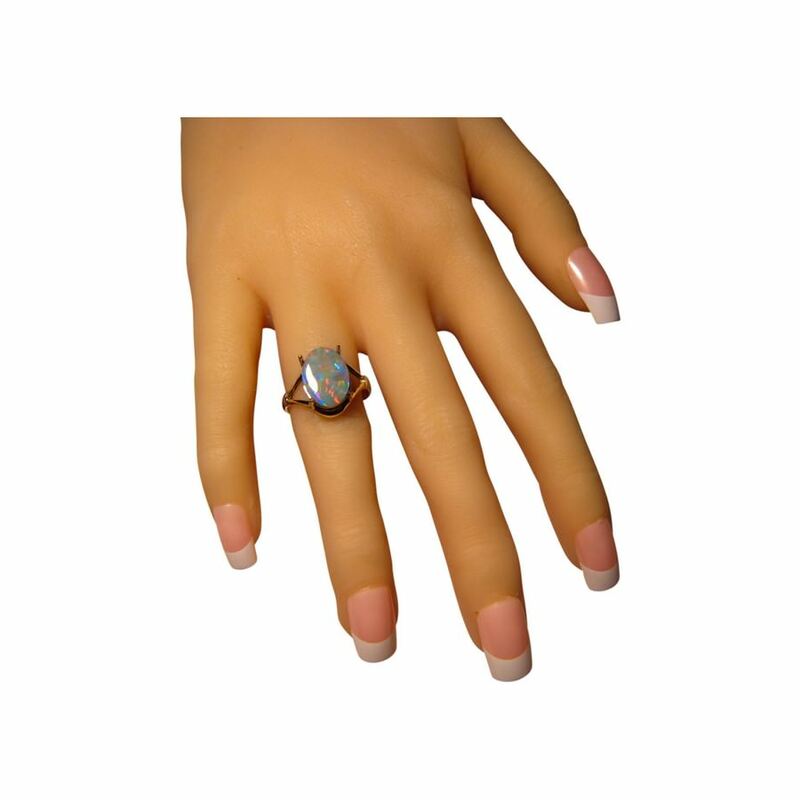 The Opal weighs 1.75 carats and displays bright Red and Blue and although not the brightest of Opals, the stunning Ribbon Harlequin play of color will be noticed as the video below will show. 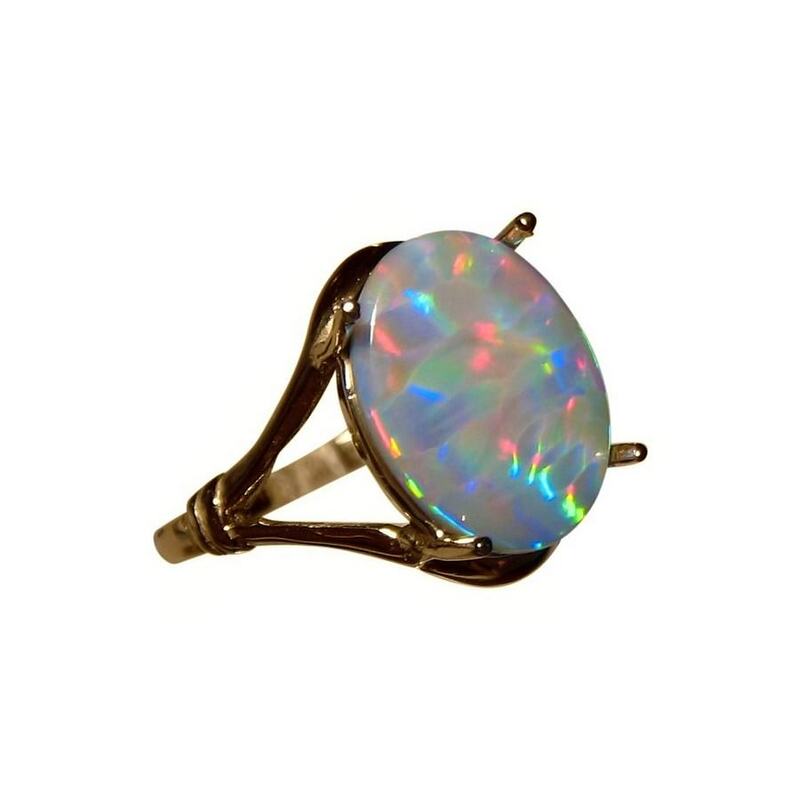 The Opal is shown in a prong set 14k Yellow Gold ring but as it will be secured after sale, the ring can be made in White or Rose Gold and in any ring size. 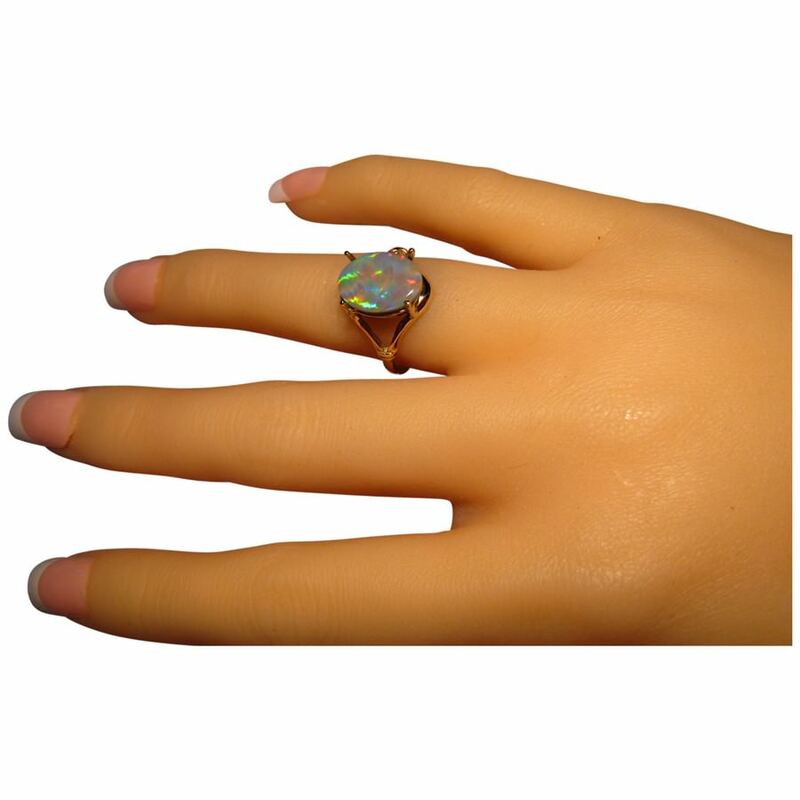 A beautiful unique Black Opal ring that is ready to ship as detailed below or will take about 7 days for any changes to ring size or Gold color. 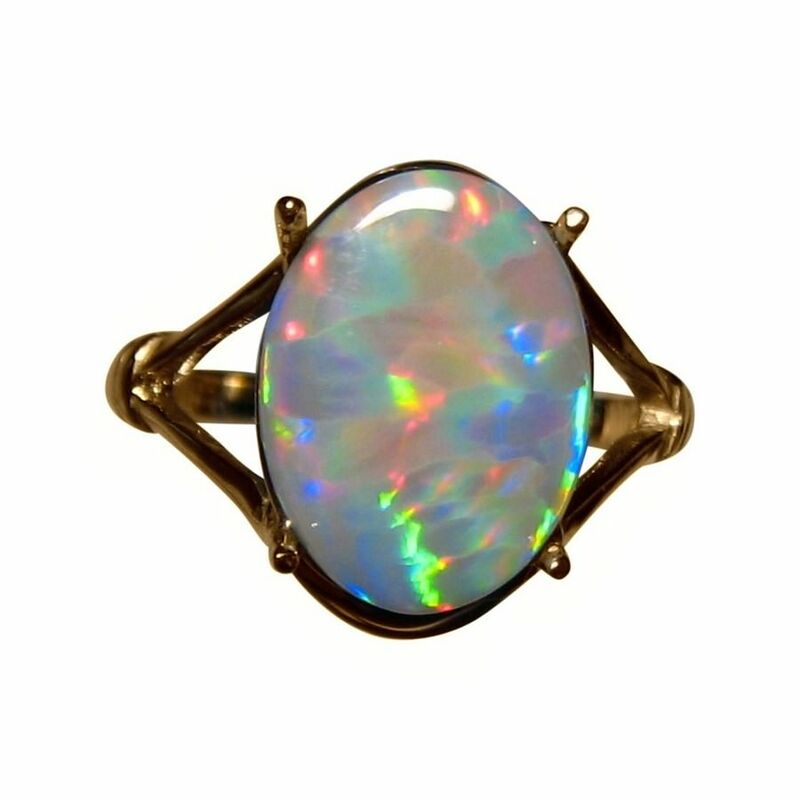 The Opal can also be mounted into a different ring or pendant setting if you would prefer a different design. Simply contact through this product for assistance and a no obligation price quote.